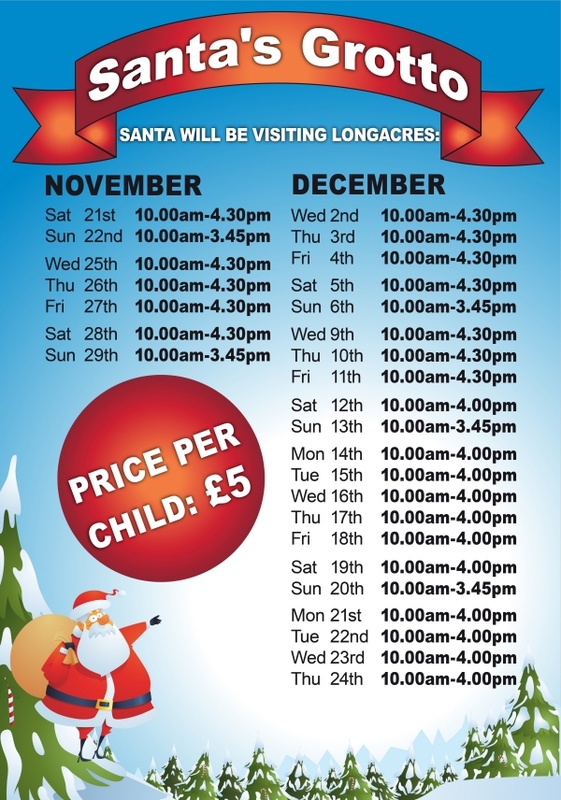 Santa’s elves and our talented team of seasonal staff have been working tirelessly to get the Christmas grotto ready for Santa’s big arrival on Saturday 21st November at Longacres Garden Centre, Bagshot. Walk with your children on a magical journey through a Winter Wonderland before meeting the bearded man himself in the heart of his cosy Christmas grotto. Each visit costs just £5 and includes a present from Santa if they’ve been good this year - an ideal incentive to get them on their best behaviour!